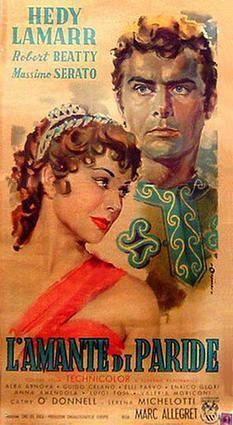 Loves of Three Queens (Italian: L'amante di Paride), also known as The Face That Launched a Thousand Ships, is a 1954 Italian anthology film. It was directed by Marc Allégret and Edgar G. Ulmer and stars Hedy Lamarr. A woman going to a costume party tries to work out which Queen she will dress up as. The film follows scenes from the lives of each of the queens. Genevieve, Josephine, and Helen.